Tiger Zinda Hai is on its way of becoming Salman Khan’s highest grossing movie and now stands at 311.88 crores at the Indian box office. Along with ruling the domestic section, this Salman Khan starrer is shining at the overseas box office too. Tiger Zinda Hai has been speeding its way to cross the USD $ 20 million mark in overseas. It now currently stands at USD $ 18.64 million (118.39 crores) at the overseas box office. The movie has crossed 500 crore mark at the worldwide box office. Grossing the Indian box office figures, it stands at 399.20 crores and adding the overseas collections (118.39 crores) takes the grand total of the movie to 517.59 crores globally. This is another huge milestone crossed by Tiger Zinda Hai and is added to the list of many such ones. Salman Khan, post-Tubelight, was criticised by many but as he rightly once told his movies are critic-proof. Though Tiger Zinda Hai got a good response from most of the critics, there were some who bashed the film saying it lacked logic. The movie came in as a savior of the dull year 2017 and ended it on a relieving note. Apart from Baahubali 2, none of the other movies made it huge in 2017. Golmaal Again, Toilet: Ek Prem Katha, Jolly LLB 2, Judwaa 2 and Fukrey Returns managed to draw the audience towards theaters but it was not enough. Tiger Zinda Hai ended the dull phase and is also getting acceptance all over the world. The movie will cross Shah Rukh Khan’s Chennai Express (USD $ 19.30 million) in upcoming days. It will be interesting to see how it will fare internationally when Padmavat and Padman will release on this Republic Day weekend. 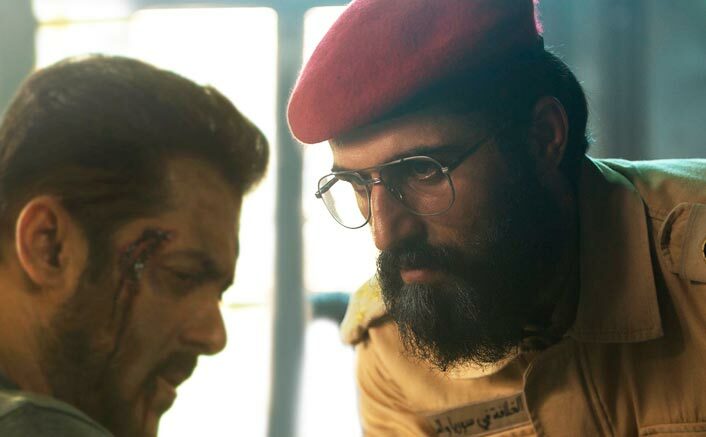 The post Salman Khan’s Tiger Zinda Hai Enters The 500 Crore Club At The Worldwide Box Office appeared first on Koimoi.